2011 was a remarkable year in Sudan. Not only did the world look on as a new nation, the Republic of South Sudan, was born, but it also bore witness to, and largely failed to address, reoccurring human rights violations committed by Sudanese government and government-backed forces in Abyei, Blue Nile, Darfur, and South Kordofan. In Sudan, 2011 began with what many had written off as impossible: the peaceful and credible completion of the South Sudan referendum. Euphoric voters marked the momentous occasion by casting ballots throughout Sudan and in eight out-of-country voting locations during the seven-day long process. The referendum would have not been possible had it not been for the diplomatic efforts and financial and logistical support of members of the international community, chief among them, the U.S. government. 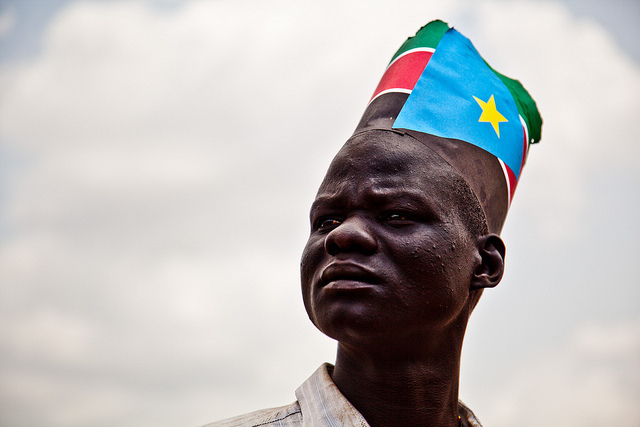 In total, over 98 percent of Southern Sudanese voted to secede from the Republic of Sudan, paving the way for South Sudan’s declaration of independence on July 9, 2011. The birth of South Sudan shines bright as a momentous accomplishment of the international community and the people of South Sudan and Sudan, alike. Unfortunately, the rest of 2011 in Sudan was marked by reoccurring government attacks on civilian populations in Abyei, Blue Nile, Darfur, and South Kordofan, and an accompanying failure on the part of the international community to adequately address these human rights violations. Fighting in Darfur continued throughout much of 2011, despite the conclusion of the Doha Document on Peace in Darfur in July. Largely as a result of this ongoing conflict, there remains at the end of the year an estimated 1.9 million displaced persons throughout Darfur. Notably, over 70,000 of these displacements were new or secondary displacements recorded in 2011. May 2011 again brought violence to the disputed border region of Abyei. Approximately 110,000 people were displaced from Abyei as Sudanese government-backed Misseriya forces swept through the area. In June, the government of Sudan and the Sudan People’s Liberation Movement signed an agreement on temporary arrangements for the Abyei area. However, as 2011 comes to a close, the agreement remains unimplemented, as forces from the North and South have yet to fully withdraw from Abyei. Following the conduct of disputed elections in South Kordofan state in May, violence between the Sudan Armed Forces and the Sudan People’s Liberation Movement-North engulfed the state. The fighting is estimated to have displaced or severely affected up to 200,000 people. Reports from refugees who have fled across the border into neighboring South Sudan tell of the government’s deliberate targeting of civilian populations. In September 2011, fighting erupted between government forces and the Sudan People’s Liberation Movement-North in Blue Nile. An estimated 130,000 people have subsequently been displaced by the violence. As in South Kordofan, refugees’ accounts from Blue Nile tell of the government of Sudan’s intentional bombing of civilian populations. Additionally, the conflicts in South Kordofan and Blue Nile have resulted in the displacement of 28,500 Sudanese to Ethiopia and another 8,000 to South Sudan. To make matters even worse, Khartoum has denied international humanitarian aid organizations access to South Kordofan and Blue Nile. Looking back on 2011, conflict and the Sudanese government’s intentional targeting of civilian populations in Abyei, Blue Nile, Darfur, and South Kordofan has severely affected or displaced, either internally or across an international border, some 546,500 people. Over half a million people displaced or severely affected by fighting in Sudan over the past year. This staggering figure underscores what the international community failed to do in 2011, and what it must do in 2012. A chorus of outcries from the U.S. government and others against the government of Sudan’s continued attacks against civilians went unheeded. Calls for the government of Sudan to permit international aid organizations to access Blue Nile and South Kordofan fell on Khartoum’s deaf ears. In 2012, the international community must do better. Financial and logistical support for cross-border humanitarian aid operations must be availed. The U.N. ban on offensive flights over Darfur must be extended to Abyei, South Kordofan, and Darfur, and it must be enforced. The international community must unite behind efforts to mediate a comprehensive agreement between the Sudanese government and marginalized groups in Beja, Blue Nile, Darfur, South Kordofan, and elsewhere in Sudan. Moreover, building off the success of the South Sudan referendum, the international community must remain committed to providing the government of South Sudan with assistance not only in pursuing its development needs, but also in its efforts to normalize relations with Sudan and to mitigate violence within the South. All told, it has been a tremendous year for Sudan. The birth of a new nation is not an event that occurs every year, particularly in the post-colonial era. The momentous occasion of South Sudan’s independence, though, should not overshadow the horrific events that have displaced over half a million people in Sudan. As a new year begins, the international community should again unite, as it did for the people of South Sudan in 2011, and commit itself to helping bring democracy to Sudan in 2012.